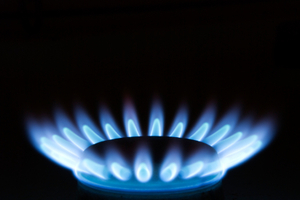 Centrica has put the blame on a tough economic climate and rising competition as new statistics show they have lost seven per cent of their small and medium business customers this year. The owner of British Gas said that in total it had lost 43,000 business customers since the end of June alone. That figure now stands at around 931,000 customers, a total which has seen a sharp decline this year with a further 25,000 customers taking their business elsewhere in the first six months of the year - a total loss of seven per cent of the firms medium and small business customers. Centrica said: "The weak economy continues to have an adverse impact on our UK business energy supply division, where the competitive environment also remains challenging." In spite of this slump in business consumers, British Gas, part of the Warm Home Discount Scheme, is still due to raise their household energy tariffs by six per cent today. The firm is the latest of the 'Big Six' energy providers to come under fire for its increase in tariffs, however it has defended this by suggesting the increased costs were out of its control and aimed at helping "upgrade the UK's gas and electricity grids and to deliver the UK's carbon reduction targets." They also blamed the higher cost of gas for the price hike.